Muslims make up 1.6 billion or 23% of the world population with a majority in 50 different countries. Are they contributing to the world? Does Muslim World lag behind the rest of the world? According to 2015 statistics, the overall literacy rate in Muslim countries is 76.99%, which is lower than the global literacy rate of 86.3%. Individual numbers for Muslim men and women are also on a lower side. 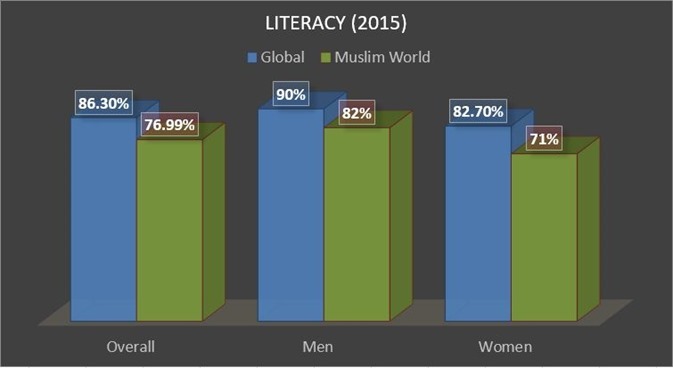 Literacy rates in the Muslim world range between 71 percent among females and 82 percent among males. While global literacy rates of females and men are 82.7% and 90% respectively. These numbers do not look depressing, but not encouraging as well. A religion that emphasis on education, its followers should be the role models for the rest of the world. But unfortunately, that’s not the case. A nation once thriving in Science. Great Scholars, Mathematicians, Philosopher and Scientist like Ibn al-Haytham, Bīrūnī and Al-Khazini enlightened the world with the knowledge But for the last 500 years, scientific contribution form Muslims has significantly declined and currently, the situation is extremely disappointing. 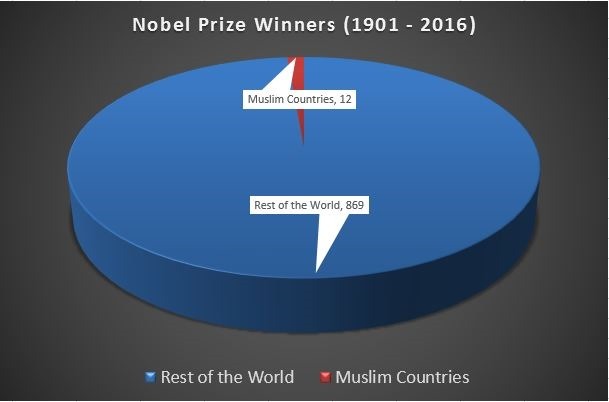 Based on the citations of articles published in internationally circulating science journals, Muslim Majority countries are around 23% of the global population but generate less than 5% of science  (Even though this was analyzed back in 1987 by Dr. Abdus Salam, but figures are not much different) . 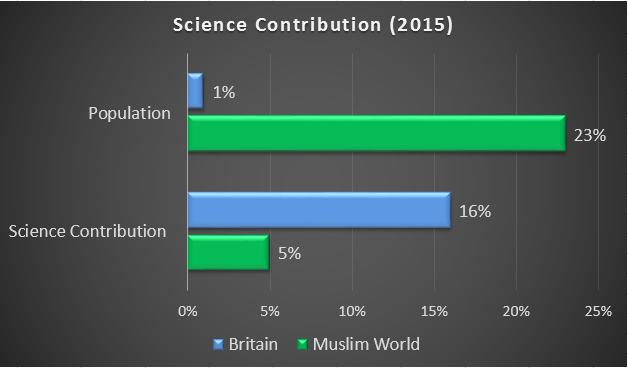 On the contrary, Britain is 1% of the global population and produces 16% of science . 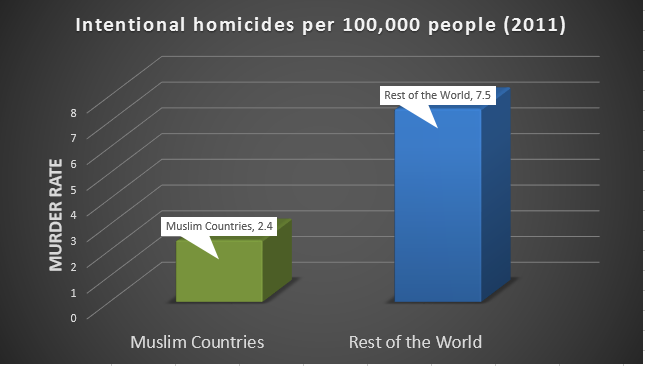 Comparison between the Muslim World and the rest of the world can be done in many other categories but these are some major ones. 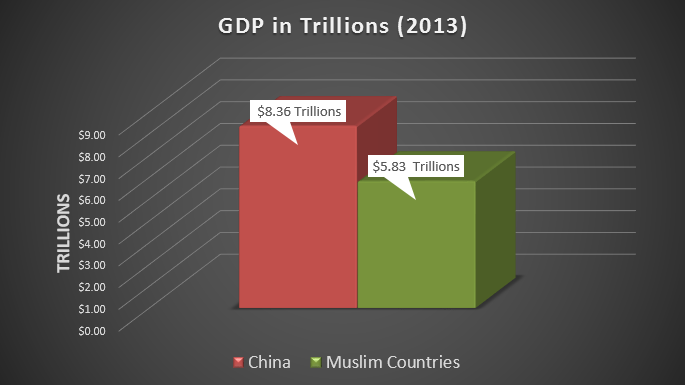 Above statistics illustrate the current and declining situation in Muslim majority countries. Unfortunately, due to the current scenario, the rest of the world question Islam and held it responsible for this decline. Muslims have to step up to answer those questions by contributing to the World. Literacy Statistics Metadata Information Table. Abdus Salam, Ideals and Realities: Selected Essays of Abdus Salam (Philadelphia: World Scientific, 1987), p. 109. Seven Muslim countries — Pakistan, Turkey, Malaysia, Egypt, Iran, Indonesia, and Saudi Arabia — account for 90 percent of this total. Citation counts measure the extent to which articles are read and used by other scientists, and so indicate both output and influence. While subject to the criticism, for example, that journals in lesser-used languages are not tabulated, the citation count is the single most reliable measurement of scientific achievement. M. Steven Fish . (2011). Are Muslims Distinctive? : A Look at the Evidence (page 120-121). New York, NY: Oxford University Press.